Keeping your desk clear of clutter is a tedious task in itself since work always takes up most of your time. 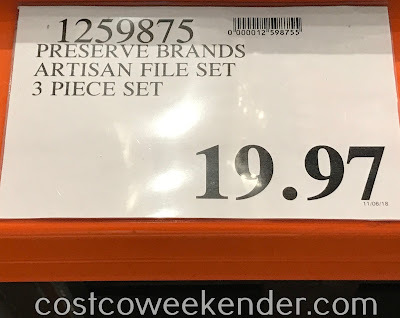 That's why it might be a good idea to get the Preserve Brands Artisan File Set. It's an alternative to getting a filing cabinet. Unlike a filing cabinet, it comes in 3 different sizes. This comes in handy if you have files of varying sizes like receipts which always come in non-standard sizes. The Preserve Brands 3 Piece Artisan Desk Organization Set can be used to organize your files, paperwork, and important documents. Files such as tax returns, receipts, vehicle registration, bank statements, etc. can be neatly put into each box. 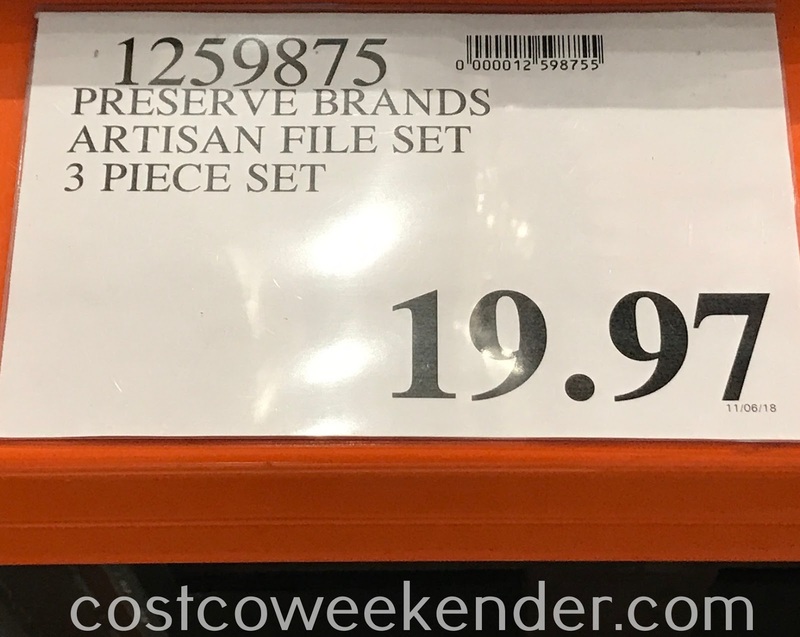 Not only that, but the Preserve Brands Artisan File Set is made of recycled cloth and not paper. It's great for those who want to be green and are looking for a more sustained solution for our planet. 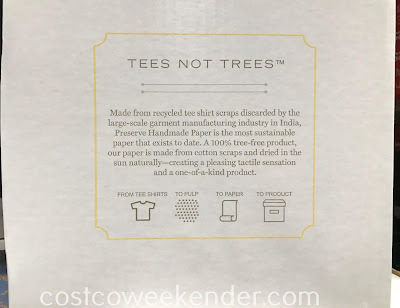 Made from recycled tee shirt scraps discarded by the large-scale garment manufacturing industry in India, Preserve Handmade Paper is the most sustainable paper that exists to date. 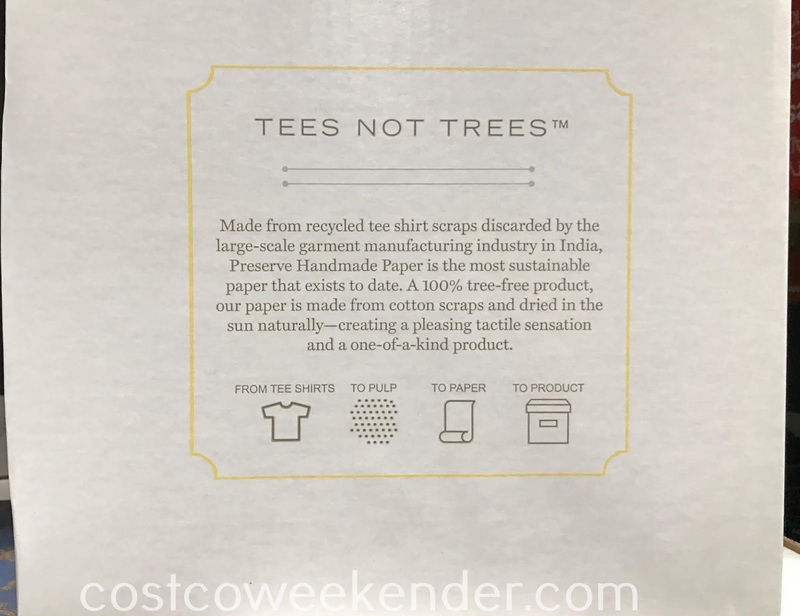 A 100% tree-free product, our paper is made from cotton scraps and dried in the sun naturally - creating a pleasing tactile sensation and a one-of-a-kind product. From tee shirts. To pulp. To paper. To Product. 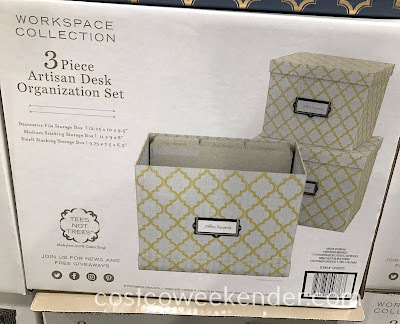 Decorative file storage box: 12.25 x 10 x 9.5"
Medium stacking storage box: 11 x 9 x 8"
Small stacking storage box: 9.75 x 7.5 x 6.5"